The capital city of Chuvashia republic: Cheboksary. 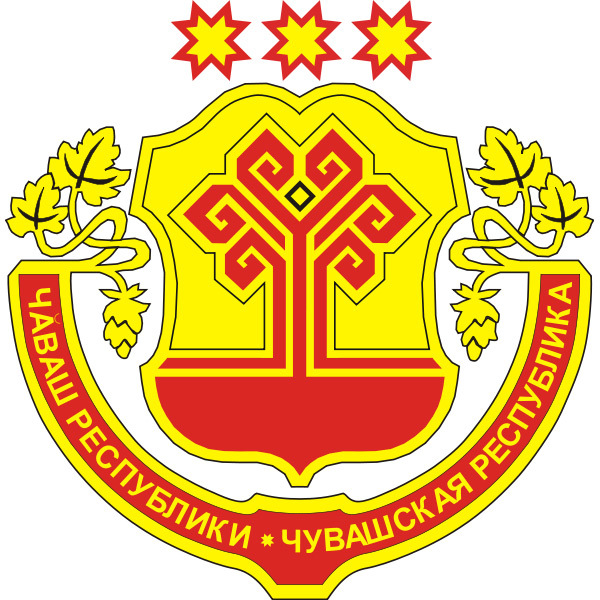 Chuvash Republic or just Chuvashia is a federal subject of Russia, part of the Volga Federal District. 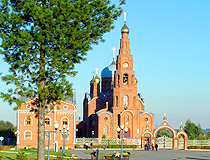 Cheboksary is the capital city of the region. Chuvashia is the native land of the Chuvash people. The population of Chuvashia - 1,236,000 (2015), the area - 18,343 sq. km. There are several hypotheses of origin of the Chuvash people. Most scientists are inclined to the following theory. In ancient times Chuvash ancestors (nomadic herdsmen) lived in the area of Central Asia. The first time they were mentioned in written sources in the 4th-3rd centuries BC under the names of the Bulgarian and Suvar peoples. The centuries-old communications of the Chuvash people ancestors with the Scythians, Saka, Sarmatians, and Alans enriched the culture of the Bulgarians and Suvars - their economic activities, daily life, religion, clothing, jewelry, ornaments. In 1236, Volga Bulgaria was devastated by the Mongols led by Batu Khan. Part of the population was forced to move into the central and northern parts of present Chuvashia. In 1438, Kazan Khanate separated from the Golden Horde. In addition to the Tatars, Kazan Khanate included the ancestors of the Chuvash, Mari, Mordovians, Udmurt, and Bashkir peoples. By the end of the 15th century, a separate Chuvash nation, which kept the Bulgarian language and culture, formed in the territory of today’s Chuvashia. The formation of new nations led to the aggravation of interethnic relations in Kazan Khanate. In 1546, Chuvash and mountain Mari separatists appealed to Russian help in the fight against the Khanate. 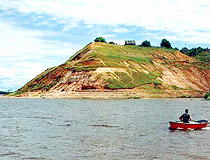 In 1551, with the founding of the Russian town of Sviyazhsk, the territory inhabited by mountain Chuvash joined the Russian State. 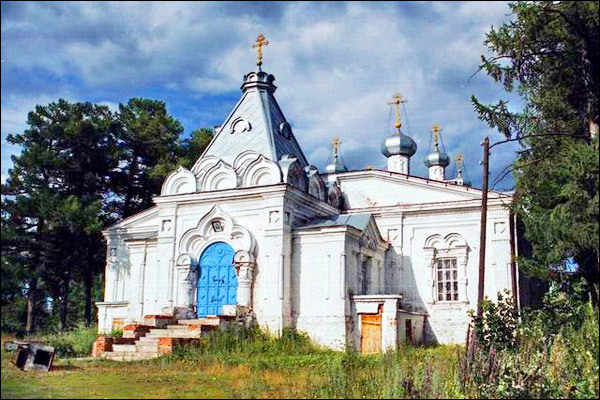 In 1552, after the fall of Kazan, Chuvash who lived on the plain area joined the Russian State too. 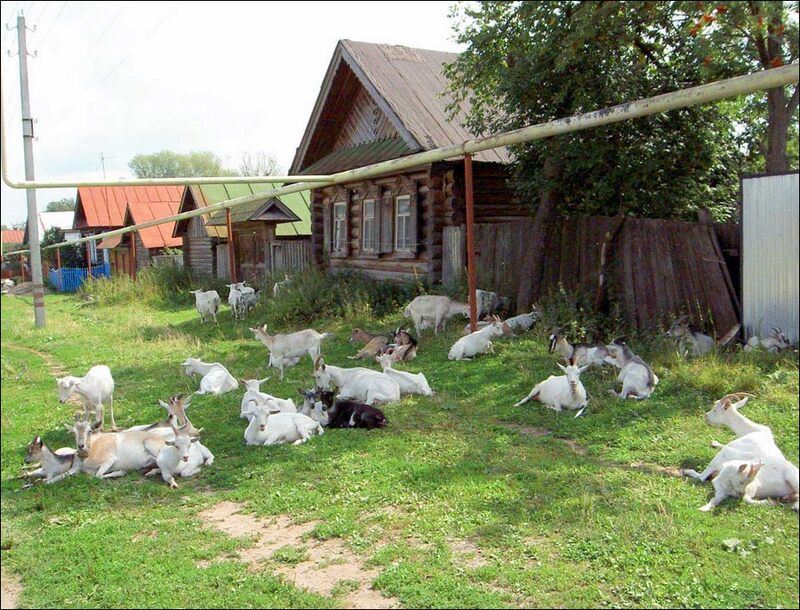 Voluntarily becoming part of Russia Chuvash were able to survive as a nation. 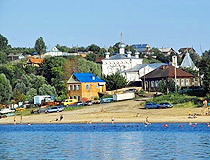 Several fortified settlements were built in Chuvashia: Cheboksary (first mentioned in chronicles in 1469, founded as a fortress in 1555), Alatyr, Tsivilsk, Yadrin. Pretty soon they became important centers of trade and crafts. The inhabitants of the region were engaged in agriculture, animal husbandry, bee-keeping, processing of wood, leather and wool. In the 19th century, especially after the abolition of serfdom in 1861, capitalism began to develop in Chuvashia. 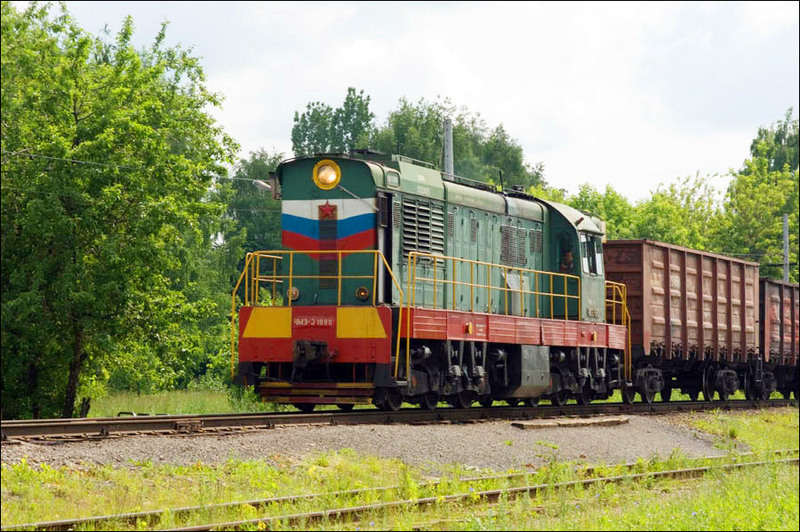 However, compared with the central regions of Russia, this process was much slower. In the late 19th - early 20th centuries, there were about 30 factories with about 6 thousand workers employed. 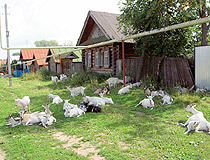 The vast majority of the population of Chuvashia (about 96%) lived in rural areas. 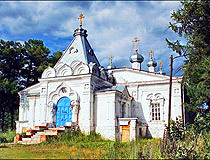 During the period from 1859 to 1897, the population of Chuvashia increased from 436,000 to 660,000. 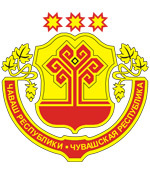 June 24, 1920, Chuvash Autonomous Region was established. April 21, 1925, it was transformed into Chuvash Autonomous Republic. In June 1925, the town of Alatyr became part of the republic. In 1929-1936, the region was part of Nizhny Novgorod (from 1932 - Gorky) krai. In the 1950s-1970s, the average annual growth rate of total industrial output of Chuvashia Republic was ahead of the average for Russia. In 1970, the construction of Cheboksary hydroelectric station began and, in 1972 - Cheboksary Tractor Plant. About 80% of the region’s industry was concentrated in two adjacent cities (Cheboksary and Novocheboksarsk). In rural areas, the industry was represented mainly by small food and woodworking enterprises. 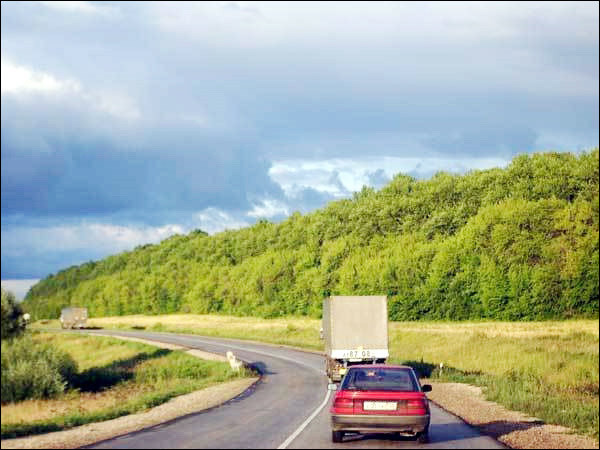 Intensive growth of the industry led to significant migration of rural population to the cities, especially to Cheboksary. In Soviet times, gradual withdrawal of the Chuvash language from the education system led to the loss of basic literacy for the majority of the language speakers. A lot of Chuvash retained only the ability to speak the native language on very basic level. In 1992, the independent Republic of Chuvashia, part of the Russian Federation, was formed and approved by Boris Yeltsin, the first President of Russia. 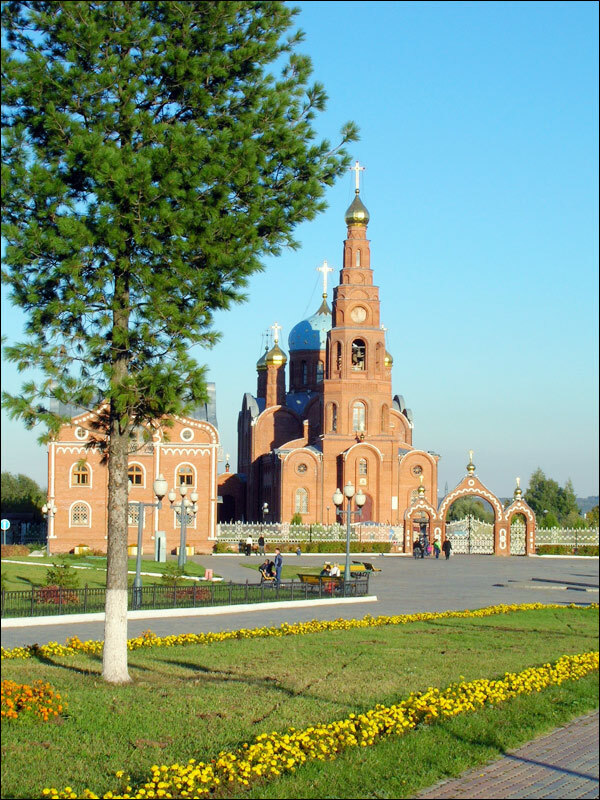 Located in the center of European Russia (the Volga-Vyatka region, between Kazan and Nizhny Novgorod), the republic is one of the most densely populated regions of the country. 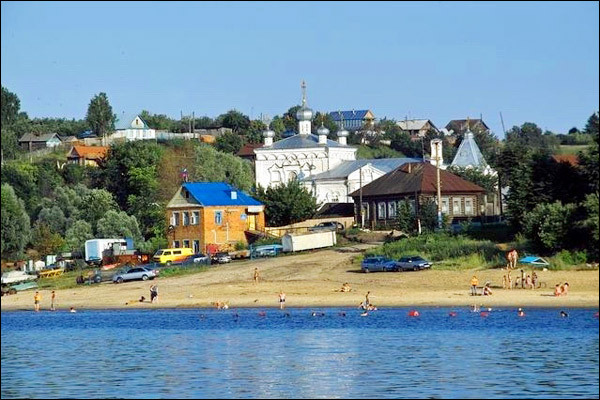 The largest cities and towns of Chuvashia are Cheboksary (474,000), Novocheboksarsk (125,000), Kanash (46,000), Alatyr (35,000), Shumerlya (30,000). The Day of the Republic of Chuvashia is celebrated annually on June 24. According to the 2010 census, Chuvash account for 67.7% of the population, Russians - 26.9%, Tatars - 2.8%, Mordvinians - 1.1%. 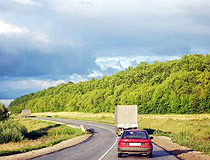 Chuvashia, situated in the steppe and forest natural areas, has temperate continental climate. 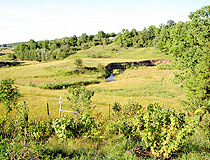 The average temperature in January - minus 12.9 degrees Celsius, in July - plus 18.8 degrees Celsius. 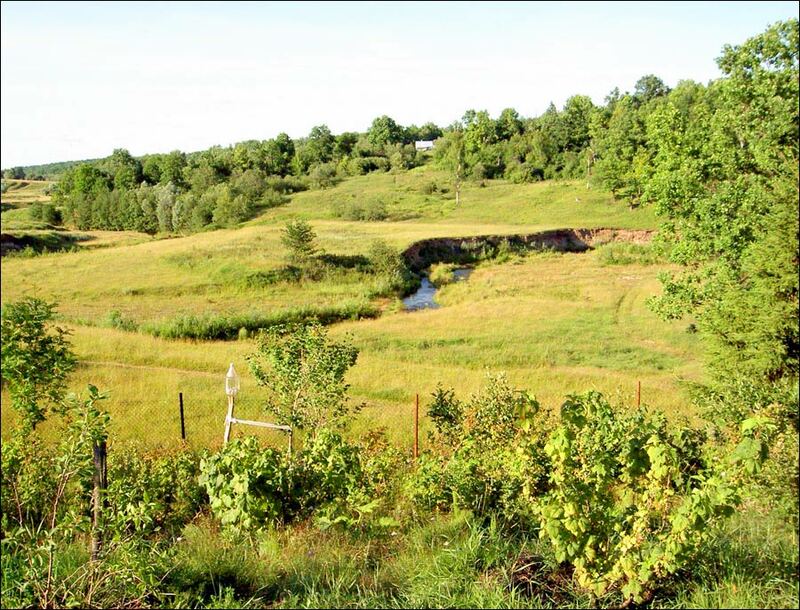 The main natural resources of the region are clays, gypsums, sands, peat, phosphorite. Chuvashia is an important center of Russian electrical engineering (power transmission and controls systems). Also such industries as chemical, power generation, metalworking are highly developed. 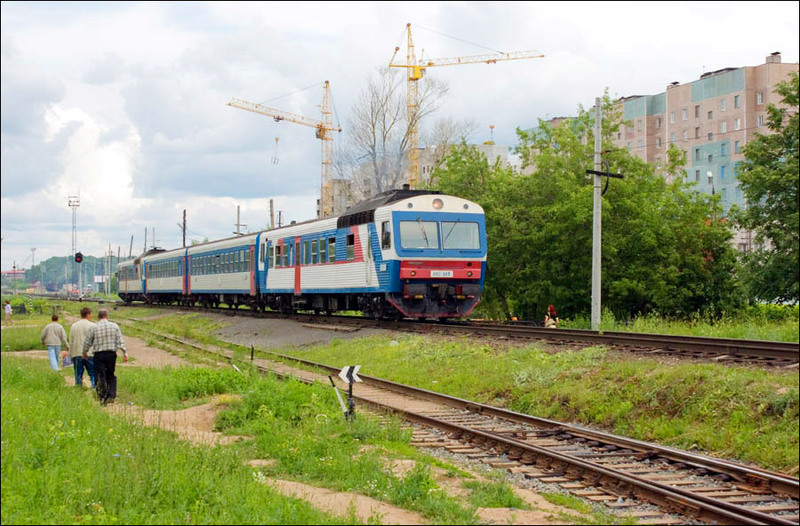 The region has a relatively well-developed transport infrastructure including several federal highways M7, P178, A151, railroads and waterways (the Volga, Sura rivers). 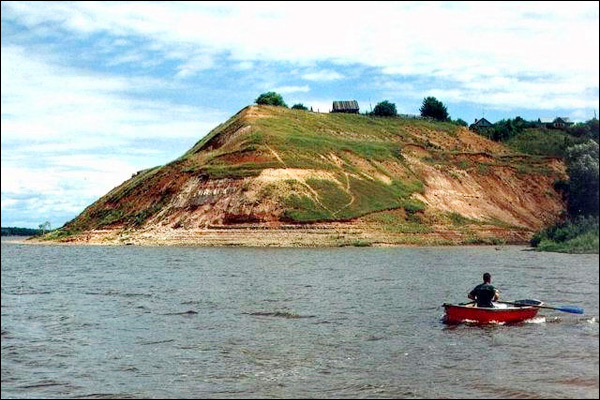 The national park “Chavash Varmane” and Prisursky Reserve are the main natural attractions of Chuvashia. joao batista asks: What language is used in Chuvashia? There are two state languages in Chuvashia: Chuvash and Russian. Henry (Yaounde-Cameroon) asks: I will like to visit the city of kanash in chuvashia republic. Please inform me on where to i get your visas.i will much appreciate to read from you. You should check the site of the Russian embassy in Cameroon to get the latest info about obtaining a visa. I am forming a friendship with a special person from Kanash and it was nice to know more of the history and see pictures.